The Red Ones DO go faster! 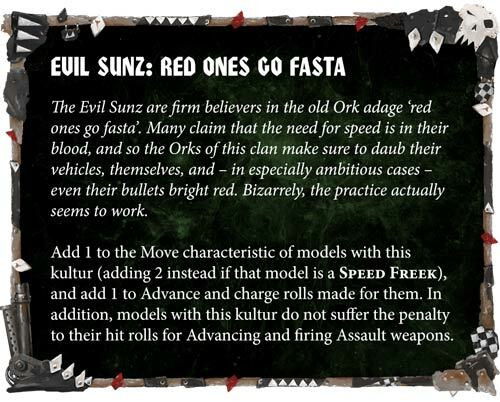 Games Workshop confirms that the Evil Suns are the fastest Orks in the galaxy plus more exciting new from the upcoming Codex: Orks! Do you wanna go fast? Faster than anyone else on the battlefield? Well, any ORK at least? Then you are in luck because Games Workshop has a new Ork Clan Preview out and today we’re getting the inside line on the Evil Suns! Look, it’s just science. Red Ones go fasta! It’s in the rules. All Evil Suns get to add 1 to their Move or 2 if they are a Speed Freek. They also get to add 1 to advance and charge rolls plus they get to ignore the penalty for advancing and firing assault weapons! These Orks are faster and can shoot on the move. One last preview from the Evil Suns and GW is the new Mekboy Workshop. 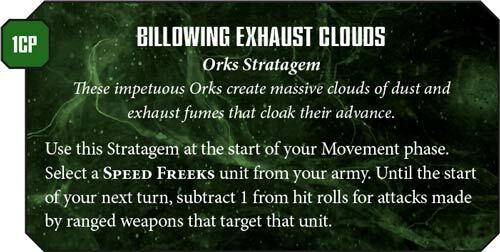 We had a rumor on what this could do and now we have further confirmation about this new Orky Terrain piece. Maxing out a weapons number of shots can be very useful – plus you’ve got a chance that you’ll be able to add an additional +1 to the damage stat of the chosen weapon. That could come in pretty handy! 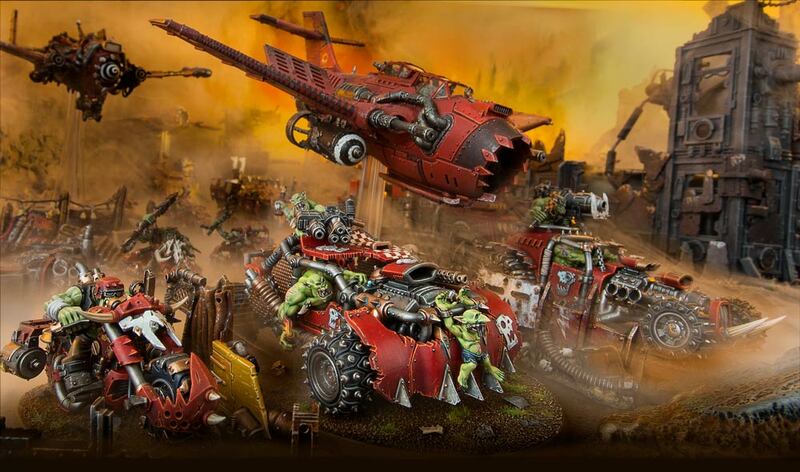 If you’re looking for an Ork Clan that feels the need for speed than look no further than the Evil Suns! 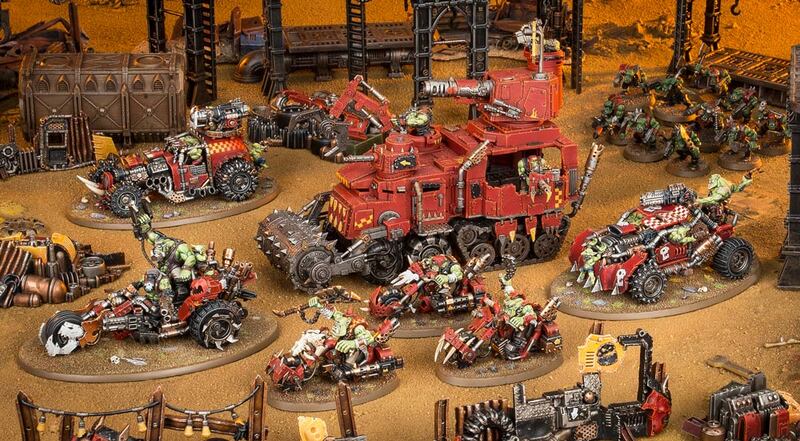 Paint the trukks red – and maybe your Boyz too.